12-14 Rue Du Roule, 75001 Parijs, Frankrijk. 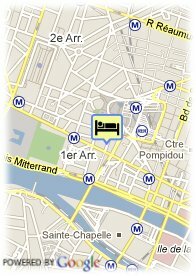 Hotel tonic du louvre is situated in the heart of paris, close to the louvre and les halles RER metro station. 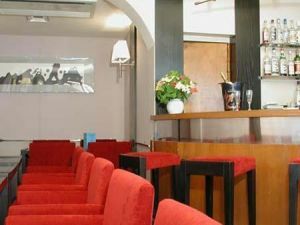 The hotel offers you a comfort equally as functional as elegant. In each room, colour TV, direct dial telephone and minibar. Each bathroom is equipped with hydromassage and steam bath to tone up and relax your body. dichtbij beurscomplex, dichtbij treinstation, dichbij Vliegveld.